The old idea of sake – hot and musty “rice wine,” served up in a slender ceramic pitcher at your neighborhood sushi emporium – may be pervasive. But to real lovers of the world’s cuisine and drink it’s never been an ideal solution. Nor, I am here to tell you, is it all that accurate a reflection of sake as it is experienced in Japan. Over the past four decades, sake in the Floating Kingdom has undergone a complete makeover. It has begun to be served chilled and is characterized, much like Chardonnay and Sauvignon Blanc from Down Under, with hints of fruit and floral notes. 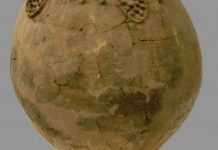 Much like those popular whites, sake has emerged as a go-to pairing with western dishes, including pasta, and a vast array of meats, fish, and poultry dishes. Nowhere is the “new idea of sake” better embodied than in the knowing hands of the brewing family at 70-year-old Shimizu-No-Mai. 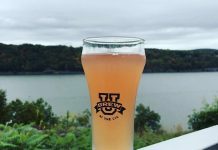 But the proof is in the pudding, and I had the good fortune to sit down with executive master brewer (toji) Hitoshi Kato and the company’s president Junichi Hirakawa when they were in New York recently. They were here as part of a national tour to waken American taste buds to the variety, depth, and complexity of sake. During dinner at the SoHo seafood restaurant Lure Fishbar, Hirakawa explained to me via a translator that sake is made via a unique technique that is part brewing and part wine-making. The essential ingredients of any sake are water, rice, and koji – Aspergillus oryzae – the mold that converts starch to sugar, allowing for a fermentation that occurs in a single step. But that is where Shimizu-No-Mai parts company with other sakes. 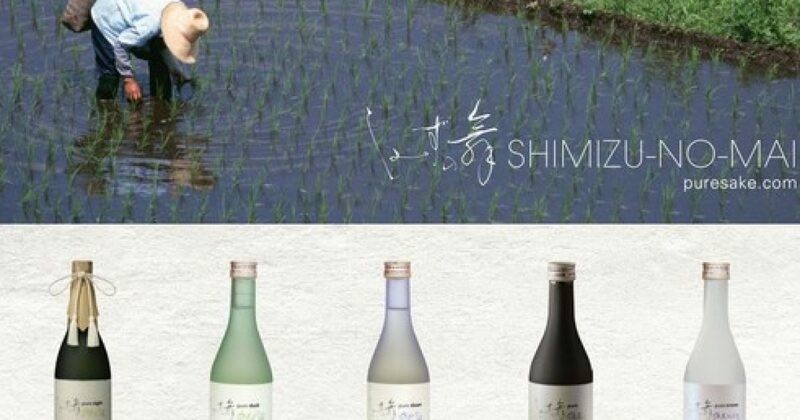 Whereas most of these beverages are made from unpolished rice and bulked up with distilled alcohol, giving it all the charm of jug wine, Shimizu-No-Mai polishes its rice at its own in-house plant in northern Honshu and combines it with pure, soft riverbed water that has run off from mountain snow. The high degree of rice polishing and absence of added alcohol catapult Shimizu-No-Mai (which translate to “pure water dancing”) to the top of the sake grading scale, among the coveted “Junmai” sakes. At dinner, we sampled three of Shimizu-No-Mai’s sakes: Pure Dawn (Junmai Ginjo), Pure Dusk (Junmai Daiginjo), and Pure Snow (Junmai Nigori). The Pure Dawn, sampled first, makes for a compelling aperitif, betraying subtle hints of orange peel, pear, and Fuji apple, with an underlying minerality and creamy finish. As an accompaniment to a first course of Kumamoto oysters, the sake offered a striking counterpoint to the briny bivalves. Pure Snow, a milky sake that in the glass resembles Greek ouzo, is imbued with notes of ginger, making it a perfect companion for spicy dishes. I took it on a test drive with Lure’s Steamed red snapper in red curry broth and was pretty pleased with the performance. Pure Dusk, infused with green apple, was delightful with the assorted ice cream sandwiches we shared at dessert. Shimizu-No-Mai sakes have begun turning up on U.S. restaurant beverage lists (Lure, where we dined, had several of the company’s offerings), and are available through a number of online resellers, such as City Wine Cellar and Liquorama. For more on Shimizu-No-Mai, visit the company’s website at puresake.com.